ECDPMAre Africa and Europe Turning a New Page in Their Relationship? Aggad-Clerx, F., Mackie, J. 2014. Are Africa and Europe turning a new page in their relationship? 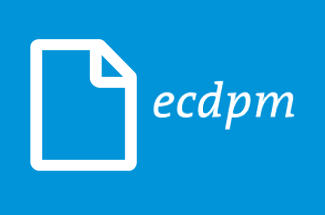 ECDPM Talking Points Blog, 11 April 2014. 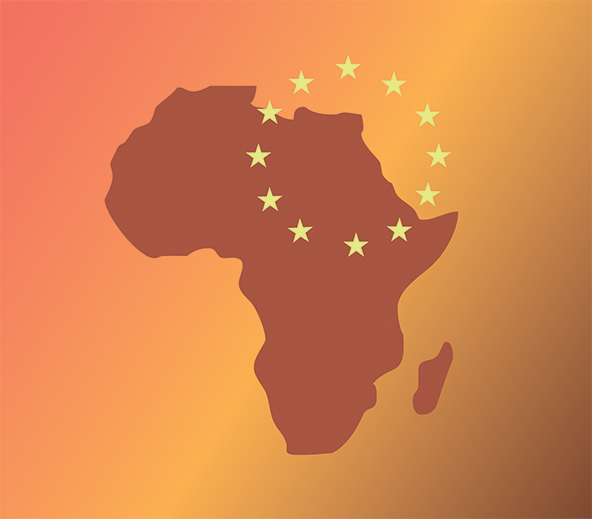 Seeking to understand the potential impact of a Summit immediately after the event is a perilous task, yet looking at the outcomes of last week’s 4th Africa-EU Summit it is possible to think that in 5 years time we may look back on it as something of a threshold moment in Africa-EU relations. With little sign of simple rubber-stamping of sanitized declarations prepared well in advance, the tone set, particularly by the African leadership present, was businesslike and pragmatic from the beginning. 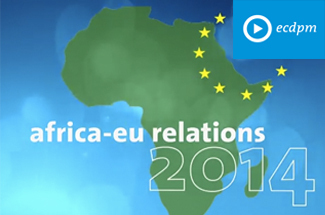 We will watch to see if this is not just a one-off, but also a real shift in Africa – EU relations that will last for the long term. Although the event seems to have still been very largely about supporting African development, it was not primarily about aid to Africa. The summit attracted a large number of heads of states from both continents, which was not a given considering the low turn out at the previous summit 4 years ago in Gadhafi’s Libya. The elephants in the room – the EPAs, the ICC and LGBT rights seem to have been largely overcome through dialogue and flexibility on both sides. 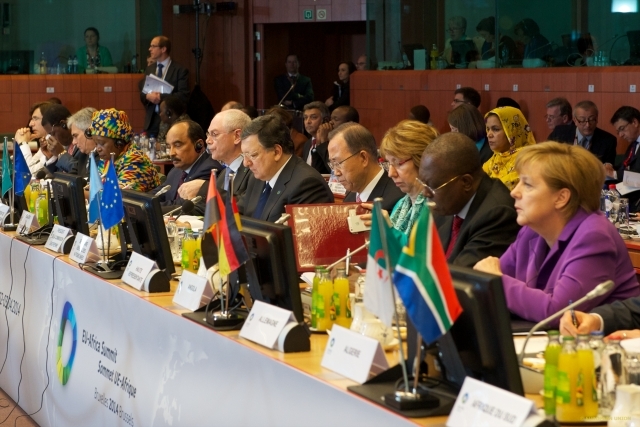 African and European leaders adopted a Declaration and a Roadmap 2014-2017, which set a political tone, recalling the need to continue dialogue on a number of issues where they can find common ground. The Roadmap sets out strategic priorities that can guide the identification of concrete areas of cooperation. The agreed priorities are Peace and Security; Democracy, Good Governance and Human Rights; Human Development; Sustainable and inclusive development and growth and Continental Integration; Global and emerging issues. 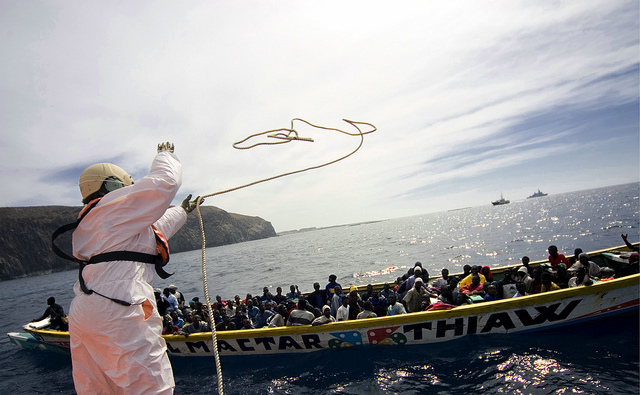 The only specific Declaration actually adopted was on Migration and Mobility. A ‘Normalisation’ of the Relationship? These two main documents suggest that expectations from the relationship are changing, but could still be more clearly articulated. Reading between the lines it would seem the relationship is slowly moving towards a more standard international diplomatic relationship where both parties more openly stress complementarities and interests. If that is the case and one takes a longer-term perspective one can argue that some progress has been made. The fact that only one of the several proposed thematic declarations were agreed certainly raises questions about the actual alignment of respective interests and perspectives. There is something to be said for limiting the number of grand statements and focusing on a more limited number that are properly negotiated. This can in effect be interpreted as a ‘normalisation’ of the relationship, with the leaders adding political weight to the statements and not just agreeing documents pre-cooked long in advance. There appears to be recognition by both sides that if they do not work together they are less strong. In this declaration both sides acknowledge that they need each other. Yet, some analysts still think there is quite a lot of mistrust and outright frustration on both sides. From the initial signing of the Joint Africa-EU Strategy (JAES) there has always been a call to move the relationship beyond development into cooperation on wider international affairs. While the EU highlighted the aid it had earmarked for Africa during its next financial cycle, in practice development cooperation does not seem to have been the main focus of the discussion. The key area of cooperation remains the well-established partnership on peace and security while agricultural development and industrialisation (not part of the JAES to date) got quite some attention. The debate seems to have been more about investment and growth. In the closing press conference AU Commission Chairperson, Nkosazana Dlamini-Zuma noted: “We’re not looking for grants for our infrastructure but investments through Sovereign Wealth Funds … there will be returns to your investments … we’re industrializing, but you have technology that can relieve us from fossil fuel dependence, we can generate surplus energy to send across the Mediterranean … together we can be two great continents … development issues are key for peace and security … without one corrupting another …. we can really work together on all these issues….”. European leaders were however more traditional and perhaps too polite and conciliatory in their statements. The Summit remained very largely on Africa rather than on what Europe and Africa might do together on tackling global challenges at the international level. Both documents do talk about the need to cooperate on the post-2015 agenda and on climate change, but the separate declarations prepared on those topics were not agreed. On some of the key issues that will dominate the international agenda in the coming years, there appeared to be limited convergence of views, nor any real clarity on how the two Unions might tackle them together. Mrs Dlamini-Zuma and her team did make a strong impression. For the EU it was less clear who would take things forward. This can to some extent be excused by the upcoming appointment of a new European Commission later this year, but if the JAES process is to gather real momentum Mrs Dlamini-Zuma will need a strong counterpart on the EU side – a challenge for the incoming EU High Representative for Foreign Affairs and Security perhaps? 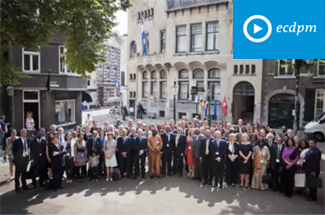 The Summit planted the seeds for a potentially stronger, more balanced partnership between the EU and Africa. Once the dust settles, it will be important to keep up the momentum. A starting point would be for the Roadmap to be further detailed to identify ways to operationalise the agreed priorities. This will prepare the ground for the next Summit, due to be held on African soil in 2017. Photo courtesy of The Council of the European Union.